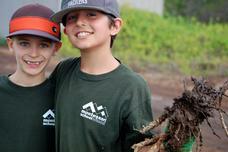 Partner with the Montessori School of Maui to create your legacy. Include Montessori School of Maui in your Will or Trust. Name the school as a beneficiary of an insurance policy or retirement plan. Utilize appreciated securities to provide supplemental retirement income for yourself or a loved one. Planned giving is charitable support that typically involves people’s financial and estate planning. It enables people to give from their assets (not just their income), allowing them to make larger gifts than they ever thought possible, often with significant tax benefits. Planned giving can also help people preserve more wealth for their families after their death, while ensuring their favorite charities continue to serve future generations. This material is designed for informational purposes only. It is not meant to serve as legal, tax, investment or other professional advice. Always consult your professional advisor regarding your individual situation. For more information and support in determining if a Planned Gift is right for you, please contact Director of Development, Ali Grimes at alisong@momi.org or 808-573-1062.